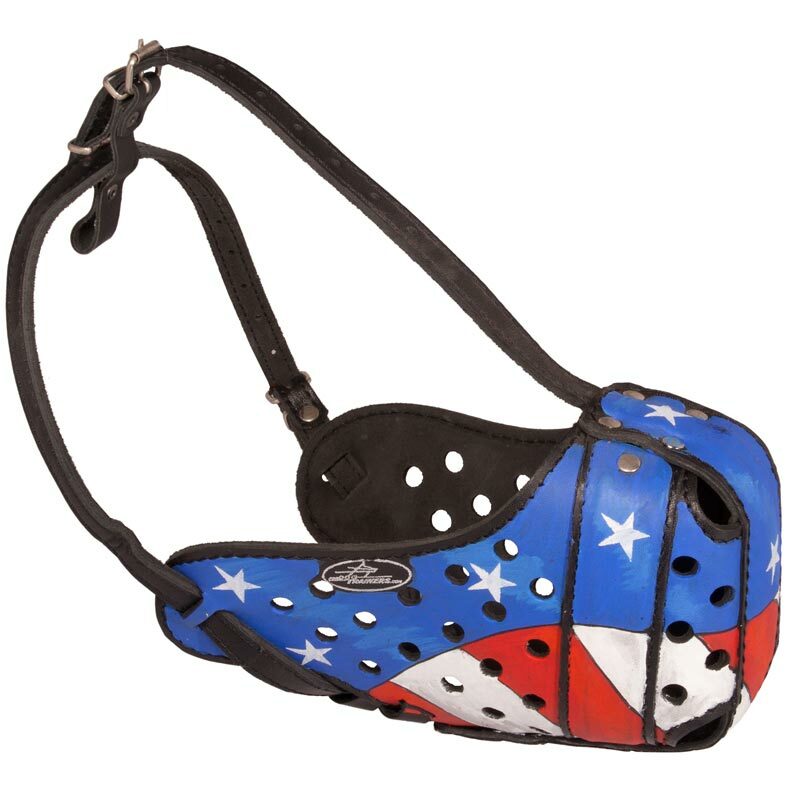 This Dog Muzzle is manufactured of full grain genuine leather, that is extra strong and can withstand excessive overload. Be sure it will serve you and your Rottweiler for decades, if maintained properly. 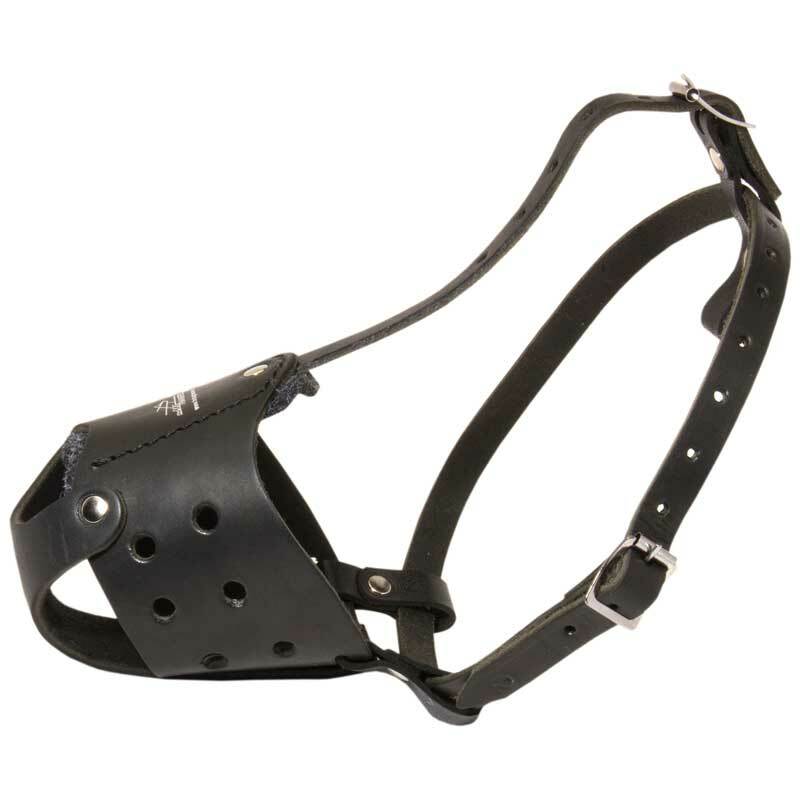 Moreover, all the leather parts are stitched and riveted together to ensure the durability of the Muzzle. Also it has a special front leather covered steel bar. The main function of this bar is to protect your dog’s snout from possible injuries during hard protection/agitation training. 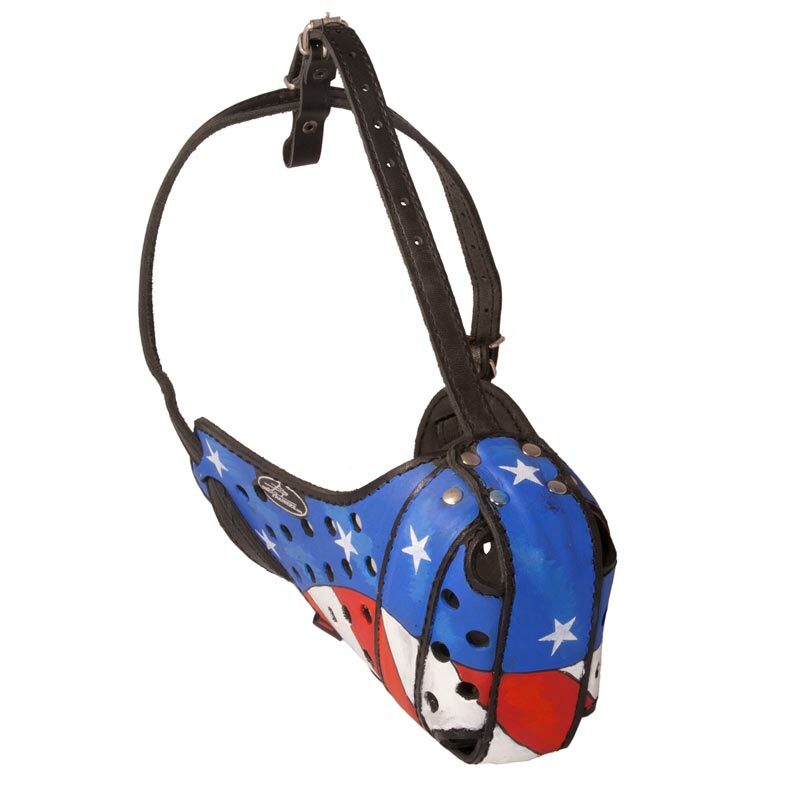 Thanks to easily adjustable leather straps you will be able to fit the Muzzle snug on your pet’s snout. Besides, soft inside padding protects your doggy’s nose from rubbing and irritation. The paint is water resistant, non-toxic and safe for your dog’s health. You can be sure that this unique flamed design will definitely underline your Rottweiler’s strength and beauty.